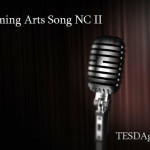 Performing Arts – Dance NC II is one of courses offered by the Technical Education and Skills Development Authority or TESDA, a course will let you gain knowledge in terms of dance movements, and dance routines. Skills you may get in this course are, ballet movements and styles, jazz movements, basic fundamentals of native folk dance and even performing your own skills. 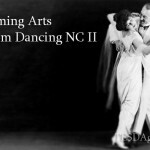 Course duration (Training time that will be consumed): Performing Arts – Dance NCII takes 271 hours to finish. 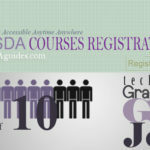 Training Institutions may have other requirements other than the listed above, you may personally go to the preferred institute and ask them personally. Dance Instructor in certain schools which is common here in Philippines, dancer to a Private Dance company. Since Dancing is a skill you can acquire during childhood days, you do not have to be a degree holder but you have the skills of creativity, team leading, persistence and the passion. You also must maintain a good and healthy living to perform certain movements. 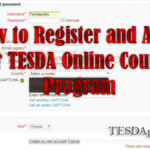 Tip: Please do consider it a Par time work and look for other TESDA offered course so you can have a good salary. You can be a personal dance instructor depending on public demand, like the famous workout nowadays we call Sumba; you can also be a dance and fitness instructor.